You are here: Home › Blog › Company News › Customers › Eco Aware › NUIG Create an Eco-Friendly Campus! 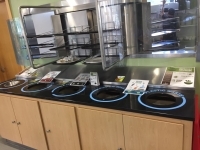 We have been working with the University on their sustainability strategy for the past number of months. 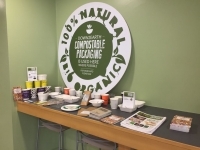 We are now the proud suppliers of compostables at NUIG! 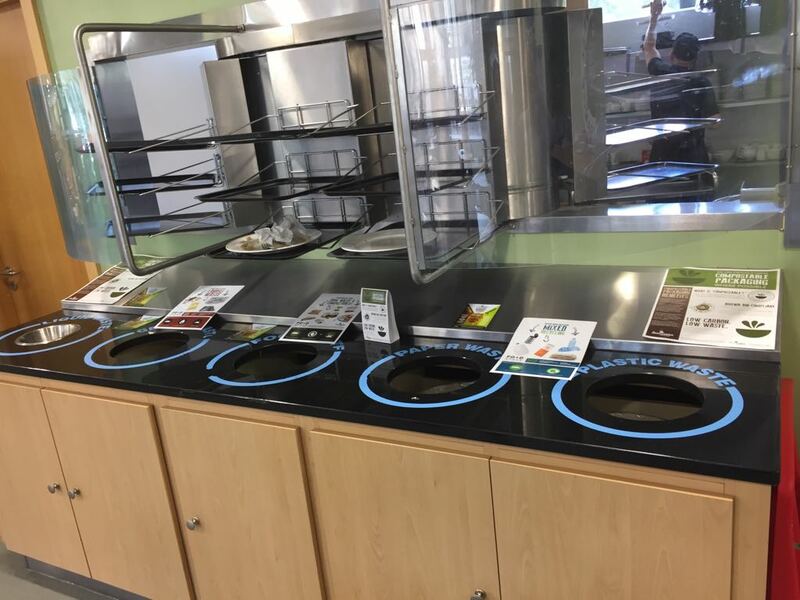 In an effort to combat the massive waste created on campus, NUIG Catering Managers actively sought ways to improve their eco efforts. 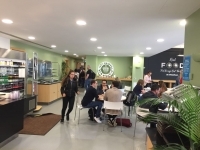 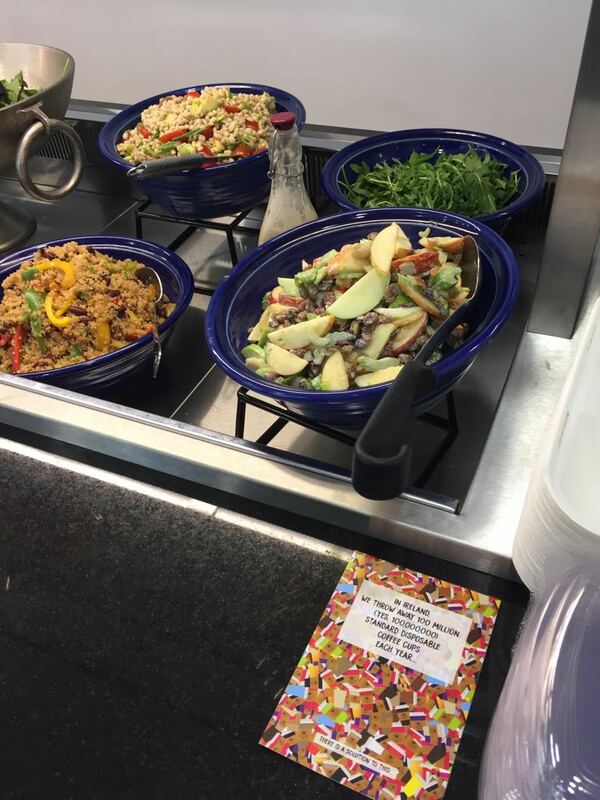 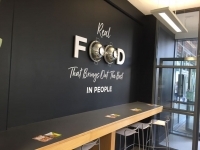 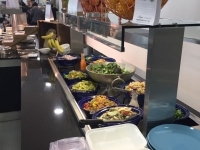 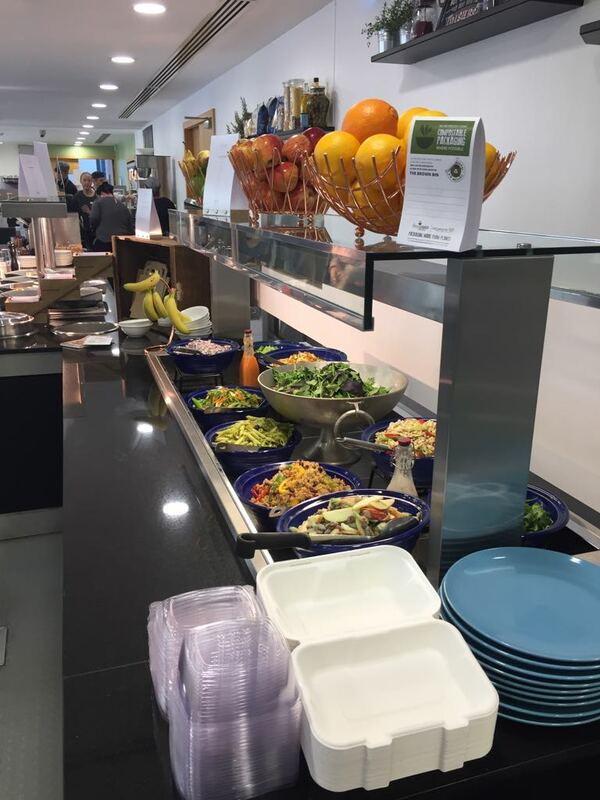 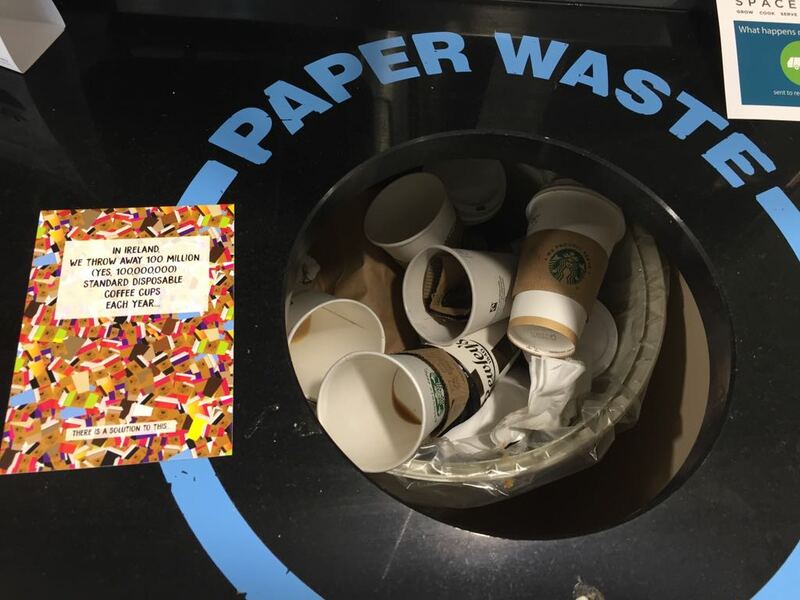 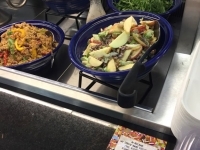 One of their biggest concerns was the amount of waste created at the on-site restaurants and cafes, which would serve thousands of students their take-away coffees and lunches daily. 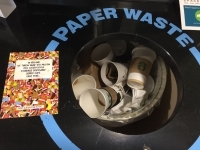 This of course inevitably results in lots of single-use plastics being used and abused, and ending up in a landfill near you for a couple of hundred years – not great for our environment. 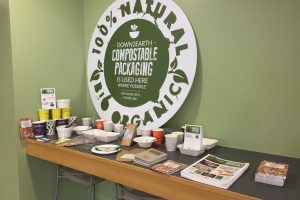 Enter compostables and the experts at Down2Earth Materials! 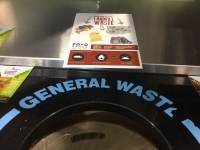 Our recycling and composting consultants got to work, helping NUIG select the products and services that were right for them. 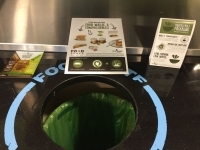 The student centre now exclusively offers Down2Earth compostables where possible, as well as dedicated compost bins on site. Students can now dispose of our eco-friendly products correctly, along with their left over food, in the food waste bin! 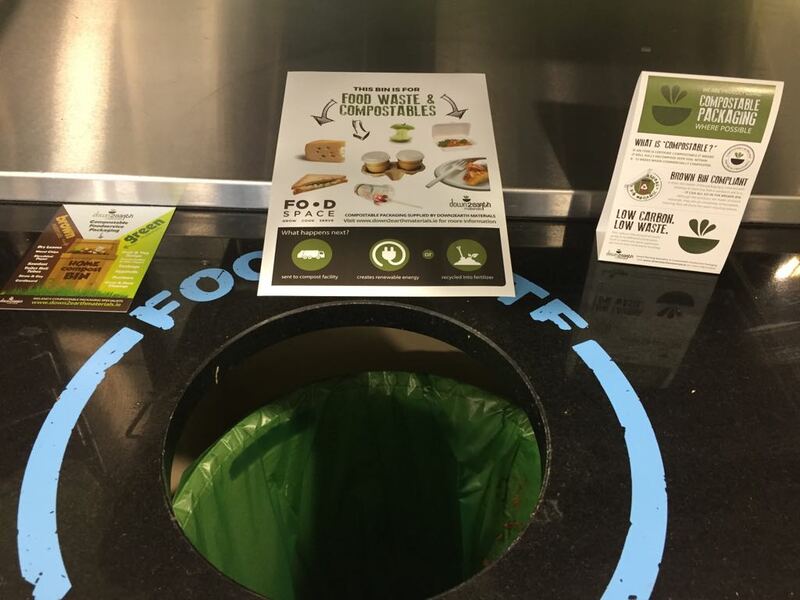 Instead of being dumped in a landfill, food scraps and compostables will be commercially composted into nutrient rich soil, within 180 days. It is no mean feat for a campus of this size to undertake such a big (but brilliant) step, so well done to everybody at the college for their commitment to making a change! Of course, our expert guidance makes the switch to compostables seamless and entirely stress-free. It is our hope, that more and more campuses will decide to make the switch over the coming 12 months.